Chrysler said engine choices in the new 200 will be a 2.4-liter I4 from Fiat and a new Pentastar 3.6-liter V-6. 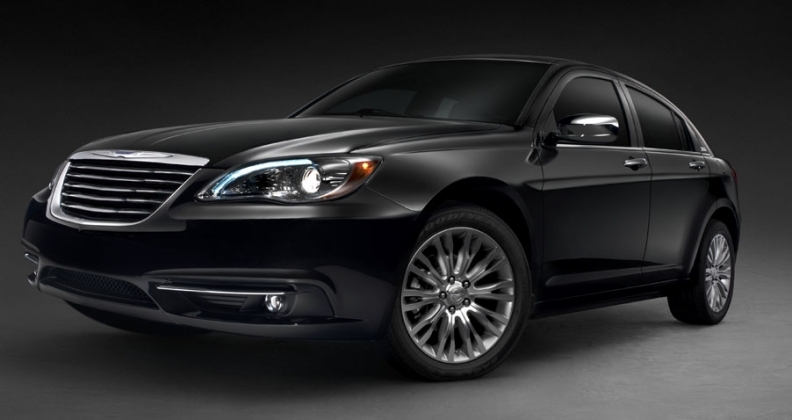 The world now has a better look at the 2011 Chrysler 200 sedan, courtesy of new photos from Chrysler Group LLC. The updates to the Chrysler Sebring to convert it to the 200 include new front and rear fascia. The Chrysler badge will adorn the front, while a new rear decklid, LED taillights and brake lights round out the rear. Interior materials will be upgraded with a new instrument panel, bezels and gauge faces. It will feature upgraded seats with a new design that are softer and more comfortable. The armrests and dash will be soft-touch, and redesigned heating and cooling outlets are fitted in the instrument panel. Chrysler said engine choices will be a 2.4-liter I4 and the new Pentastar 3.6-liter V-6. Those engines will be mated to either a four-speed or a six-speed transmission. The Chrysler 200 gets stiffened body mounts and a softer spring rate, leading to improved ride and handling. Improved suspension geometry with a raised roll center, a new rear sway bar and new tires reduce noise, vibration and harshness. The Chrysler 200 arrives in showrooms late this year as a 2011 model.